Putin gave an interview to CNN, logically and comprehensively explaining the Russian view on the South Ossetian War. What did CNN do? They censored most of the interview (in stark contrast, Saakashvili’s frequent deranged rantings bouts got prime attention during the conflict), leaving only the stuff that makes Putin look like a loon to the average Joe. Don’t let those craven neocon shills win. Watch the full interview. Matthew Chance: Many people around the world, even though you’re not the president of Russia anymore, see you as the main decision maker in this country. Wasn’t you that ordered Russian forces into Georgia and you who should take responsibility for the consequences? Vladimir Putin: Of course, that’s not the case. In accordance with the Constitution of the Russian Federation, the issues of foreign policy and defense are fully in the hands of the president. The president of the Russian Federation was acting within his powers. As is known, yours truly was at that time at the opening of the Olympic Games in Beijing. This alone made it impossible for me to take part in preparing that decision, although of course, President Medvedev was aware of my opinion on that issue. I’ll be frank with you, and actually there is no secret about it, we had of course considered all the possible scenarios of events, including direct aggression by the Georgian leadership. We had to think beforehand about how to provide for the security of our peace-keepers and of the citizens of the Russian Federation who are residents of South Ossetia. But, I repeat, such a decision could only be taken by the president of the Russian Federation, the commander in chief of the armed forces, Mr. Medvedev. It’s his decision. That this conflict has taken place — that it broke out nevertheless — is only due to the fact that no one had heeded our concerns. I think both you and your — our — viewers today will be interested to learn a little more about the history of relations between the peoples and ethnic groups in this regions of the world. Because people know little or nothing about it. First mistake. Never, ever give the media permission to do anything. They have extremely liberal interpretations. It was only in the mid-19th century that the decision was taken to incorporate South Ossetia into the Tiflis province. Within a common state, the matter was regarded as not very important. But I can assure you that subsequent years showed that the Ossetians did not much like it. 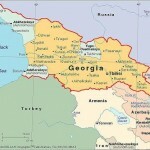 However, de facto they were put by the tsar’s central government under the jurisdiction of what is now Georgia. When the Soviet Union was formed, these territories, by Stalin’s decision, were definitively given to Georgia. As you know, Stalin was ethnically Georgian. For us, it is a special tragedy, because during the many years that we were living together the Georgian culture — the Georgian people being a nation of ancient culture — became, without a doubt, a part of the multinational culture of Russia. Matthew Chance: It is very interesting that you are talking about Russia’s imperial history in this region because one of the effects of Russian intervention in Georgia is that other countries in the former Soviet Union are now deeply concerned that they could be next, that they could be part of a resurgent Russian empire … particularly countries like Ukraine, that have a big ethnic Russian populations, but also Moldova, the central Asian states and even some of the Baltic states. Can you guarantee to us that Russia will never again use its militarily forces against a neighboring state? I have here the chronology of the events that took place on August 7, 8 and 9. On the 7th, at 2:42 p.m., the Georgian officers who were at the headquarters of the joint peacekeeping forces left the headquarters, walked away from the headquarters — where there were our servicemen, as well as Georgian and Ossetian servicemen — saying that had been ordered to do so by their commanders. They left their place of service and left our servicemen there alone and never returned during the period preceding the beginning of hostilities. An hour later, heavy artillery shelling started. George replied to me — and I have already mentioned it publicly — that no one wanted a war. We were hoping that the U.S. administration would intervene in the conflict and stop the aggressive actions of the Georgian leadership. Nothing of the kind happened. 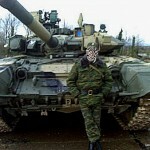 What is more, already at 12 noon local time, the units of the Georgian armed forces seized the peacekeepers’ camp in the south of Tskhinvali — it is called Yuzhni, or Southern — and our soldiers had to withdraw to the city centre, being outnumbered by the Georgians one to six. Also, our peacekeepers did not have heavy weapons, and what weapons they had had been destroyed by the first artillery strikes. One of those strikes had killed 10 people at once. Matthew Chance: You’ve always enjoyed over your period as president of Russia, and still now, a very close personal relationship with the U.S. President George W. Bush. Do you think that his failure to restrain the Georgian forces on this occasion has damaged that relationship? We have serious reasons to believe that there were U.S. citizens right in the combat zone. If that is the case, if that is confirmed, it is very bad. It is very dangerous; it is misguided policy. Based on this, the “stories” that Putin claimed the US purposefully instigated the war to help McCain win, despite that he explicitly said it was a possibility that ought to be considered. Mistake number 2. Matthew Chance: Let’s get back to the diplomatic fallout of this conflict, because one of the consequences is that action is being threatened at least against Russia by many countries in the world. It could be kicked out of the G-8 group of industrialized nations. There are threats it could have its contacts with the NATO militarily alliance suspended. What will Russia’s response be if the country is diplomatically isolated as a result of this tension between Russia and the West? Vladimir Putin: First of all, if my hypothesis about the U.S. domestic political dimension of this conflict is correct, then I don’t see why United States allies should support one U.S. political party against the other in the election campaign. This is a position that is not honest vis-à-vis the American people as a whole. But we do not rule out the possibility that, as happened before, the administration will once again be able to subordinate its allies to its will. So what’s to be done? What choice do we have? On one hand, should we agree to being killed in order to remain, say, in the G-8? And who will remain in the G-8 if all of us are killed? Mistake number 3. You’re beginning to sound like a psycho, when quoted out of context (as you inevitably will be). You have mentioned a possible threat from Russia. You and I are sitting here now, having a quiet conversation in the city of Sochi. Within a few hundred kilometers from here, U.S. Navy ships have approached, carrying missiles whose range is precisely several hundred kilometers. It is not our ships that have approached your shores; it’s your ships that have approached ours. So what’s our choice? You have mentioned the G-8. But in its present form, the G-8 already doesn’t carry enough weight. Without inviting the Chinese People’s Republic or India, without consulting them, without influencing their decisions, normal development of the world economy is impossible. That’s not what we should be thinking about, and it’s pointless to try to intimidate anyone. We are not afraid, not at all. What’s needed is a realistic analysis of the situation, looking to the future so as to develop a normal relationship, with due regard for each other’s interests. Matthew Chance: The raw as you’ve mentioned areas of cooperation still between the United States and Russia, particularly for instance over the issue of Iran’s very controversial nuclear program. Vladimir Putin: Russia has been working very consistently and in good faith with its partners on all problems, those that I’ve mentioned and those that you added. We do so not because someone asks us and we want to look good to them. We are doing it because this is consistent with our national interests, because in these areas, our national interests coincide with those of many European countries and of the United States. If no one wants to talk to us about these problems and cooperation with Russia becomes unnecessary, God bless, do this work yourself. And since we are already talking about economic matters, I would like to inform you about a decision that will be taken in the near future. Let me say right from the start that it is in no way related to any crisis, not to the situation in Abkhazia nor in South Ossetia; those are purely economic matters. Let me tell you what it’s about. Matthew Chance: Prime Minister Putin, this appears or may be interpreted in the United States as tantamount to economic sanctions. Specifically, one of these 19 agricultural enterprises been importing to Russia that you’ve found to be flawed? It has been found that their products contain excessive amounts of some substances that are subject to certain controls in our country. They contain excessive amounts of antibiotics and perhaps some other substances such as arsenic. I don’t know; it’s for the agricultural experts to consider. This has noting to do with politics. These are not some kind of sanctions. Such measures were taken here on several occasions in the past. There is nothing catastrophic here. It just means that we should work on this together. I think they said it’s arsenic. But we have our rules. If you want to export to our market, you must adjust to our rules. They know all about it. They were told about it back in 2007. Matthew Chance: The U.S. won’t like it. Matthew Chance: Prime Minister Putin, perhaps more than anyone else, you’re credited with restoring a degree of international prestige to this country. After the collapse of the Soviet Union, after the chaos of 1990s, are you concerned that you’re squandering that international prestige by your actions over Georgia, by actions like these banning of bird meat imports from the United States? Is that something the concerns you? Note how Matthew goes on about these same topics with the same gusto, just at a slightly different angle, no doubt hoping Putin would get frustrated and make more slip-ups that could the headlines. Vladimir Putin: Well, I have told you that there is no ban on U.S. poultry. It’s a ban on some plants that did not respond to our concerns for a whole year. As for Russia’s prestige: We don’t like what’s been happening, but we did not provoke this situation. Speaking of prestige, some countries’ prestige has been severely damaged in recent years. In effect, in recent years our U.S. partners have been cultivating the rule of force instead of the rule of international law. When we tried to stop the decision on Kosovo; no one listened to us. We said, don’t do it, wait; you are putting us in a terrible position in the Caucasus. What shall we say to the small nations of the Caucasus as to why independence can be gained in Kosovo but not here? You are putting us in a ridiculous position. At that time, no one was talking about international law; we alone did. Now, they have all remembered it. Now, for some reason, everyone is talking about international law. But who opened Pandora’s box? Did we do it? No, we didn’t do it. It was not our decision, and it was not our policy. There are both things in international law: the principle of territorial integrity and right to self-determination. What’s needed is simply to reach agreement on the ground rules. I would think that the time has finally come to do it. Mistake number 4. The average Westerner who thinks his/her media are the epogee of free, objective reporting and that their civilization is the very best thing since sliced white bread is going to dismiss this as the rabid ranting of a conspiracist lunatic. Typically truth is a very blunt weapon in infowars. Let’s recall, for example, the interview with that 12-year-old girl and her aunt, who, as I understand, live in the United States and who witnessed the events in South Ossetia. [Amanda Kokoeva] The interviewer at one of the leading channels, Fox News, was interrupting her all the time. All the time, he interrupted her. As soon as he didn’t like what she was saying, he started to interrupt her, he coughed, wheezed and screeched. All that remained for him to do was to soil his pants, in such a graphic way as to stop them. That’s the only thing he didn’t do, but, figuratively speaking, he was in that kind of state. Well, is that an honest and objective way to give information? Is that the way to inform the people of your own country? No, that is disinformation. It is wrong to make anyone into an enemy; it is wrong to scare the people of one’s own country with that enemy and try to rally some allies on that basis. What we need is to work openly and honestly on solutions to the problem. We want that and we are ready for that. Matthew Chance: Let’s go back to the assertion that the U.S. provoked the war. Diplomats in the United States accuse Russia of provoking the war by supporting the separatists in Abkhazia and South Ossetia by arming them, by increasing forces in the territories and by recognizing their institutions … basically giving them the green light to go ahead and operate de facto. Wasn’t it Russia that really caused this conflict? The other side — I am referring to the Georgian side — with the support of the United States, violated all the agreements in the most brazen way. It was only after that, after our first casualties and after their number considerably increased, after tens of them had been killed — I think 15 or 20 peacekeepers were killed, and there was heavy loss of life among the civilian population, with hundreds killed — it was only after all that that President Medvedev decided to introduce a military contingent to save the lives of our peacekeepers and innocent civilians. It is of course conceivable that our U.S. partners were unaware of all that, but it’s very unlikely. And if our supposition that there were U.S. citizens in the combat zone is confirmed — and I repeat, we need further information from our military — then these suspicions are quite justified. Save your breath, Putin. The Annals of Western Hypocrisy Go On and On, World and Time Without End.